I love this species – Tom did an excellent job describing it. 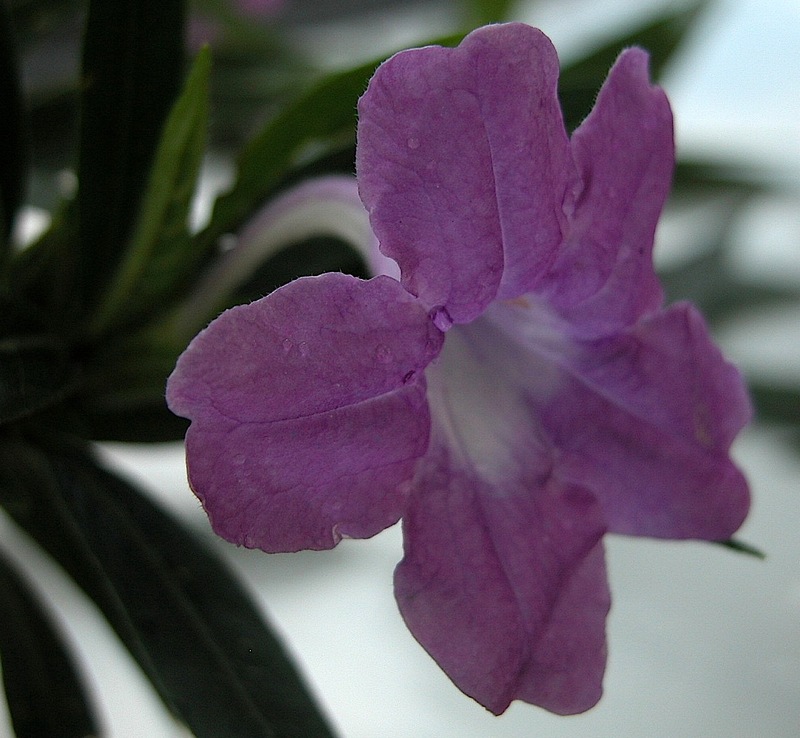 It is incredibly distinct and could never be confused with any other Ruellia. Its phylogenetic position (closely related to Ruellia blechum) is intriguing…I’m still not sure what to make of it. At any rate, it appears to be a highly endemic specialty of southern Mexico. I saw it on the same magical day that Kyle and I first saw Ruellia jussieuoides, while basking in the hot yellow sun and warm turquoise waters of Cascadas de Agua Azul.